Ni’cola Mitchell is the Founder of Girls Who Brunch Tour, and a best-selling author. In 2015 she was featured in Black Enterprise as one of the 5-Follow Worthy Bloggers to Watch. Through her independent publishing company NCM Publishing, Mitchell published numerous titles which have been featured on various best-selling lists throughout the country. Mitchell’s writing talent has led her to become a featured columnist for Urb Society Magazine, a nominee for 2014 I Am a Diva Literary Awards, and was recognized by University of Nevada Las Vegas, Upward Bound Program as their 2015 Honoree. Mitchell has also received Proclamations for her Philanthropic services through Girls Who Brunch Tour from the Mayor's Office of Charleston, SC, the Mayor's Office of Houston, TX and the Congressional Office of Houston, TX, and a Letter of Recognition from Governor Nathan Deal of the state of Georgia. Ni'cola is also the CFO of Obsessive Soul Media and Co-Founder of the Baltimore Urban Book Festival. 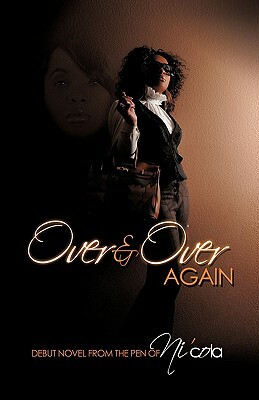 She sits on the board of the Miss Black Collegiate USA Scholarship Pageant, and manages the pageants Author Pavilion. She is also a primary panel member for the State of Black Parent Conference. Ni'cola is also the Celebrity Brand Ambassador for Premier Hair. She is a contributing writer for Urbania Magazine and FeedLynks, the Urban News Network. Ni'cola is a Strategic Partner for the California's Women's Conference, and is also a 2014 Blogger's Week Ambassador. She holds a Bachelors degree of Science in Business Management and is currently pursuing a Master's in Film. Tell us how much you like Ni’cola Mitchell.